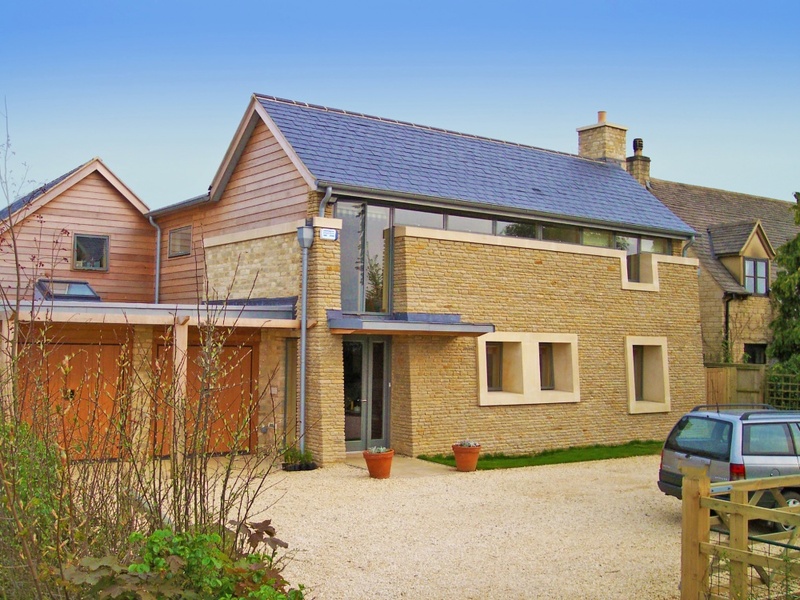 A fresh use of local materials for this four bedroomed house with Artist’s Studio in the heart of the Cotswolds. The drystone walls of the locality inspired the battered front wall punched by deep framed opening for the windows. The pronounced wall is enhanced by the under eaves glazing running the length of the front elevation.